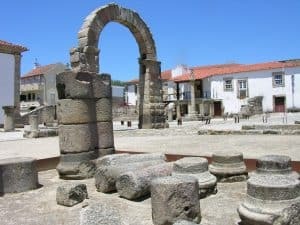 Central Portugal is a very beautiful part of Portugal with a varied landscape including forests of eucalyptus and pine trees, mountains, rivers, pretty little villages, many unspoilt by modernity, with vineyards and olive groves, fruit trees and coastal areas to visit with tasty local wine and cuisine. We are based in Tabua, a wonderful town with cafe’s, bars, restaurants, shops and many other amenities and local beauty spots to explore and paint. There are many local villas to rent or hotels, yurts, caravans or even camping and the summer months are filled with festas. We will paint on top of the Serra da Estrela, or by the side of the Mondego river and as wonderful as that is there is much more. I really look forward to taking you to some hidden places, special places that are undiscovered by the crowds. Roman amphitheatres hidden away in tiny hamlets or the whole site of Conimbriga ruins where you need to spend the day to see it all. I am excited at the thought of sharing these wonderful places with you and there is more. We recently discovered the beautiful town of Olhoa just 5 mins drive from Faro airport. What a great place to paint or just visit, so much to do and see, including the nature reserve, and a short boat trip to 3 magic islands with clear almost tropical seas. The people and the food and culture are amazing but the bright light and vivid blue skies are a painters dream. Take the next step and contact me.